School teachers Sara Stein Smith and Melvyn Maxwell Smith, undeterred by their modest salaries and guided by a shared love of architecture, met Frank Lloyd Wright at Taliesin in 1941 and commissioned a custom home. 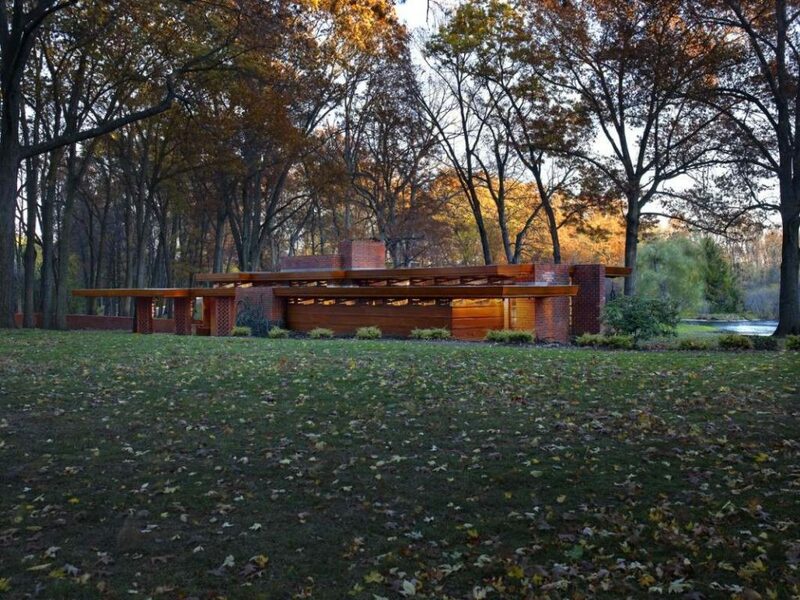 The Smith House in Bloomfield Hills is an excellent example of Wright’s Usonian ideal which aimed to build quality houses for the American middle class. 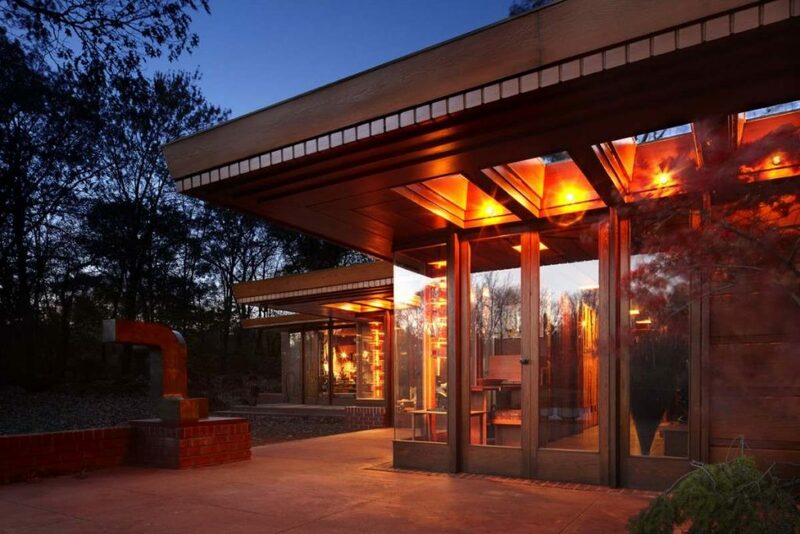 The lovingly restored home, which Wright called “My Little Gem” during a 1951 visit, features an L-shaped floor plan and horizontal, cantilevered roof planes. This tour offers a unique view of this special home, its landscape, and the story of a couple whose vision and determination allowed them to achieve their dream. Tours of the Smith House, which is owned by a private foundation, are available through the Cranbrook Center for Collections and Research. To make a reservation, please call the Center at 248.645.3307. All tours of Smith House depart from the front desk of Cranbrook Art Museum. 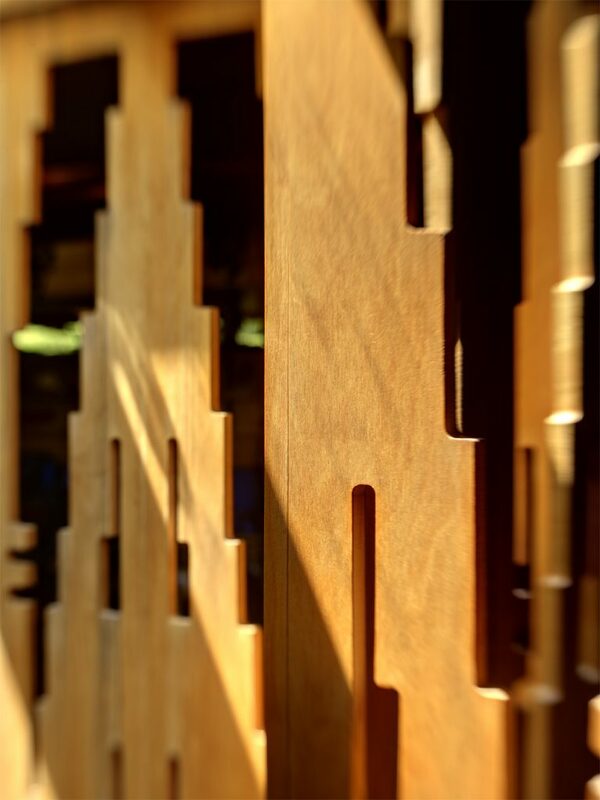 If you have a confirmed reservation, please arrive at least 15 minutes in advance of your tour time to check in. We will take a shuttle to the home promptly at the start of your tour time. There are no refunds or exchanges. Tours are limited to 18 guests. Tours are one hour long, and only allow exterior photography, for personal use only. Tours take place rain or shine. To protect the historic integrity of the home, you will be asked to remove your shoes and wear booties that will be provided. For the safety and comfort of all visitors, children younger than eight years old, including infants and toddlers, are not permitted on this tour. Due to the historical status and intimate nature of the House, many rooms and passageways are very narrow and therefore the house is not wheelchair accessible. All tours are walking tours and guests must be able to walk and stand throughout most of the tour. There are no places to sit down in the house itself. Only small wallets and handheld cameras are permitted on the tours. Please leave all backpacks, purses, camera bags, camera equipment and other cumbersome items in vehicles. This policy was created for the security and protection of Smith House and its collection of fine and decorative art. There are no public restroom facilities at the house itself; please use the facilities at the Cranbrook Art Museum before beginning your tour.